I use the programme produced by ‘Fertility2birth’; it is an amazing programme consisting of individual sessions of three, one and a half hour sessions with you and your birth partner (or on your own) in which you learn the tools to help you have a relaxed and controlled birth. This is a whole birth education programme which is advocated by midwives. 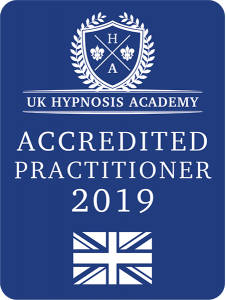 Ideally the first session is held when you are 30 weeks pregnant then at 32 weeks and then 34 weeks so that you have time to practice the techniques and listen to the hypnosis recordings (if you wish to use hypnosis which is highly recommended). During the programme you learn how to deeply relax using hypnosis recordings which you use during labour. Under hypnosis you deeply relax and remain in control. If you choose not to use the hypnosis there is still alot in the program to empower you. Birth is a natural process but if you are anxious or scared during labour your body goes into the ‘Fight or Flight’ response which means that your body sends your blood supply to prepare your body to run or fight and it practically shuts down your reproductive area. You will learn what the body’s response is and how to take control of it. It is also important to remember that your baby is sensing all that you do and what you take into your body, including any drugs you take during labour. If for some reason your birth does not go to plan this programme empowers and prepares you to continue feeling calm and in control. This program includes a copy of notes for you at each session and hypnosis scripts for your birthing partner to read to you and any hypnosis recordings. I hold a Diploma in Hypnotherapy and I am a qualified Fertility 2 Birth practitioner and an Energy 4 Life Wellness Coach. I am passionate about supporting and empowering women and their birthing partners to have the most positive birth experience possible through Hypnobirthing. Sessions from Burston, Diss, Eye and Norwich in Norfolk and from Bury St. Edmunds and Woolpit in Suffolk or in your own home (with travel expenses) if you have a quiet environment to hold the sessions! The hypnobirthing really helped me as I was calm and was 6-7cms dilated when we got to the hospital. Thanks for all your help. If you would like to chat about Hypnobirthing and how it may be able to help you; contact me for your free 20 minute chat on the telephone or Skype.